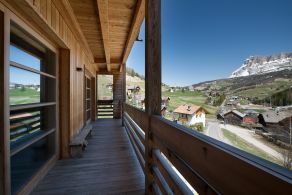 The apartment is on the first floor of a chalet with only 3 residential units, recently built to Klimahaus “A” energy consumption standards. 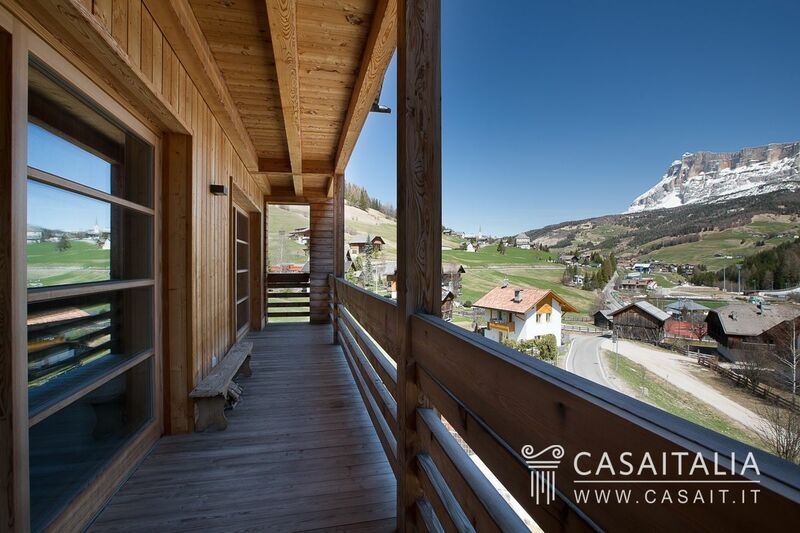 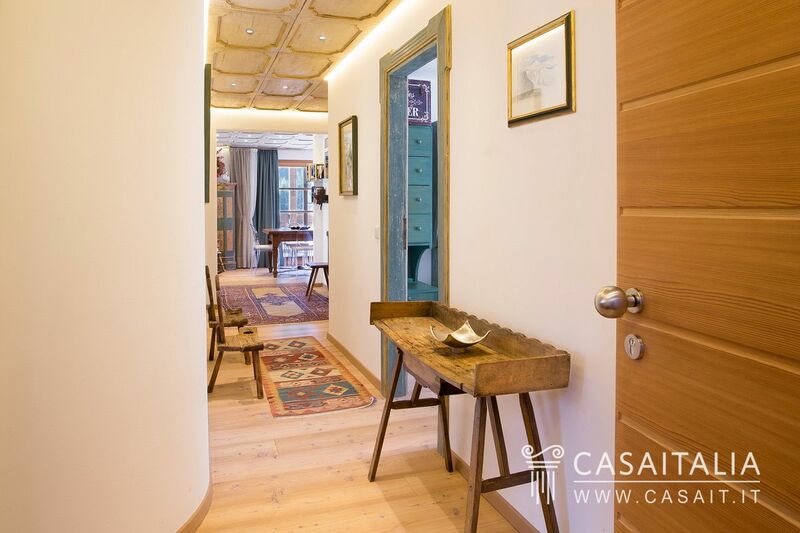 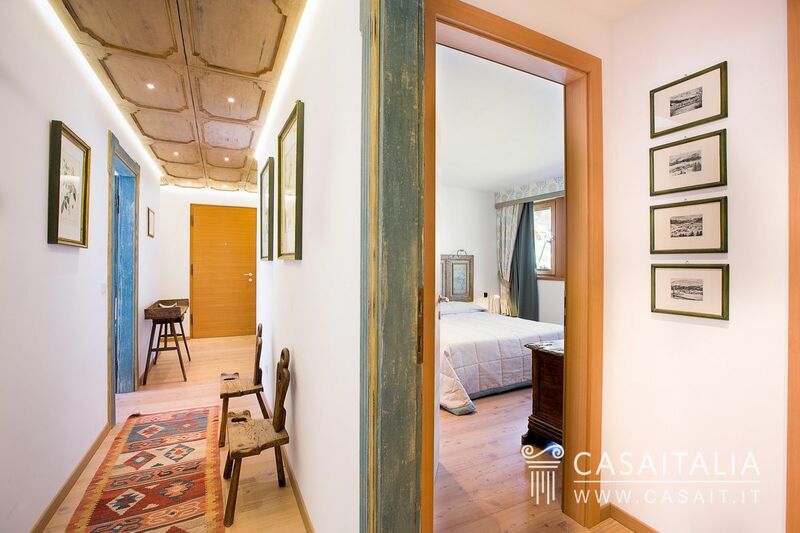 It is situated in the heart of Alta Badia, in one of the most exclusive mountain ski resorts, with state-of-the-art equipment and over 500 km of interconnected pistes. 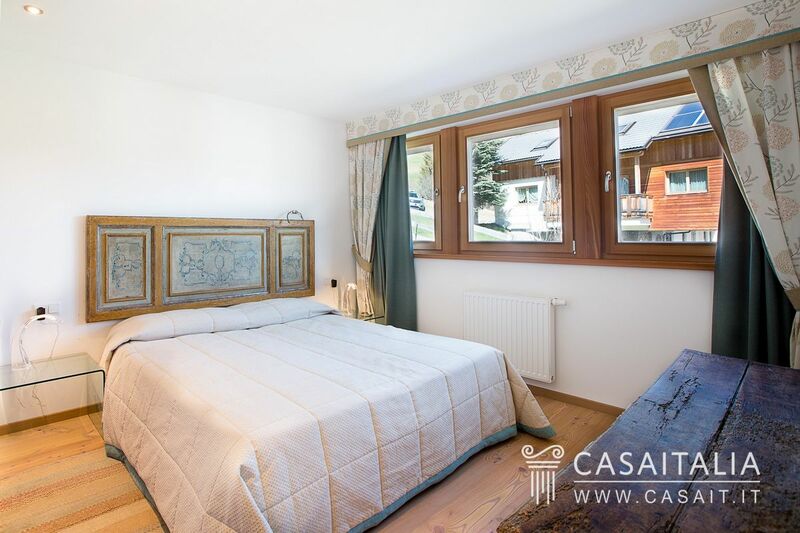 The building is in a panoramic location, just downhill from the main street in this pretty village in Alto Adige, 500 metres from the chairlift which takes you straight up to the famous Gran Risa piste with the incredible Sasso di Santa Croce in the background. 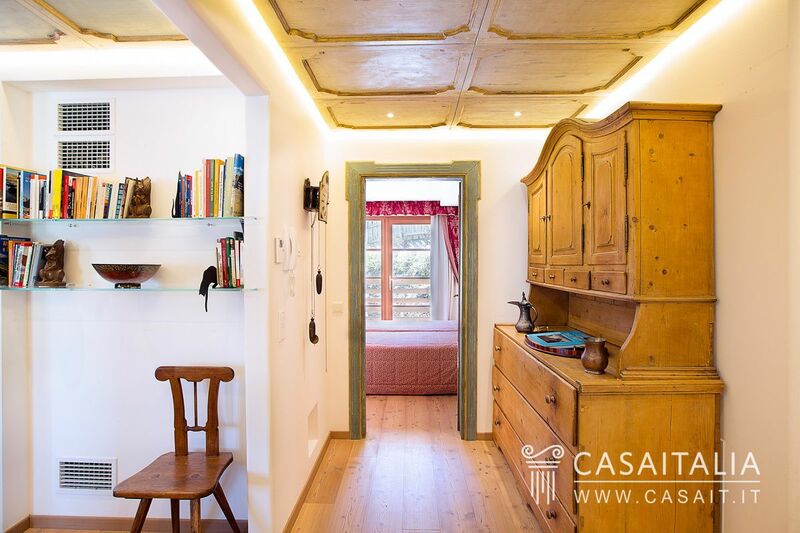 In a few minutes’ drive, you can be in Corvara in Badia, another tourist centre of excellence, while Brunico, one of the Val Pusteria’s major towns with all the necessary services, is 35 km away (40 minutes). 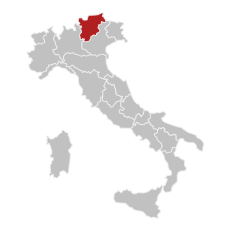 Bolzano, the region’s capital, is 65 km away (1 and a quarter hours), while Trento and Innsbruck (A) are 130 km and 135 km away respectively and can be reached in around two hours’ drive. 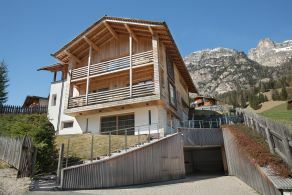 Venice airport (180 km and 2 and a half hours) and Innsbruck (130 km and 2 hours) are the nearest and provide connections throughout Europe. 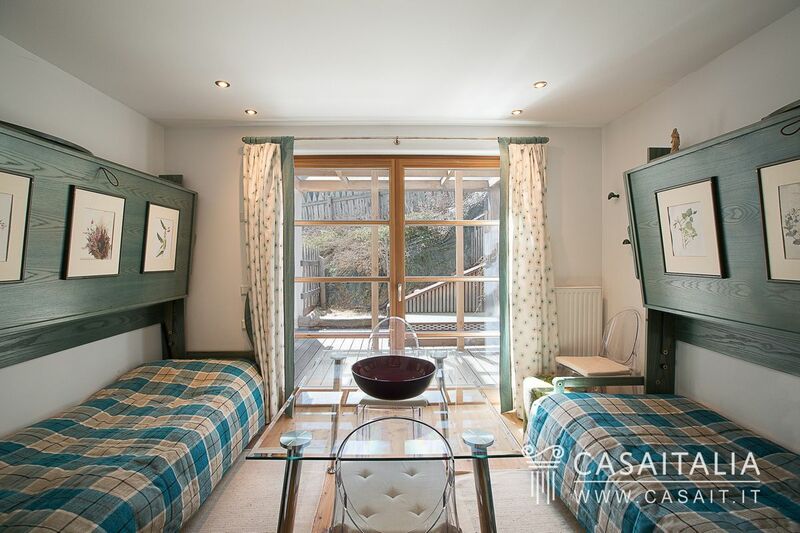 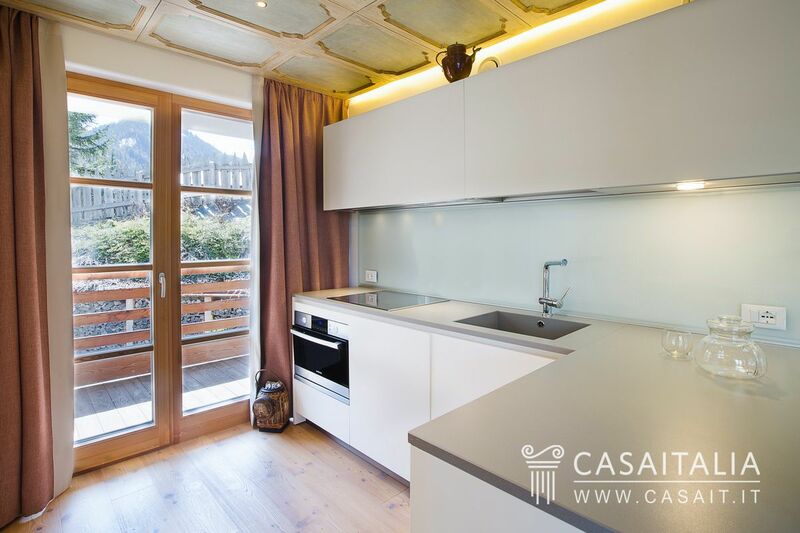 The apartment measures around 130 sq.m in total, plus a cellar and parking space in the garage, and takes up the whole first floor of a chalet with only 3 residential units, all of which have lift access. 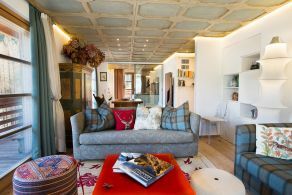 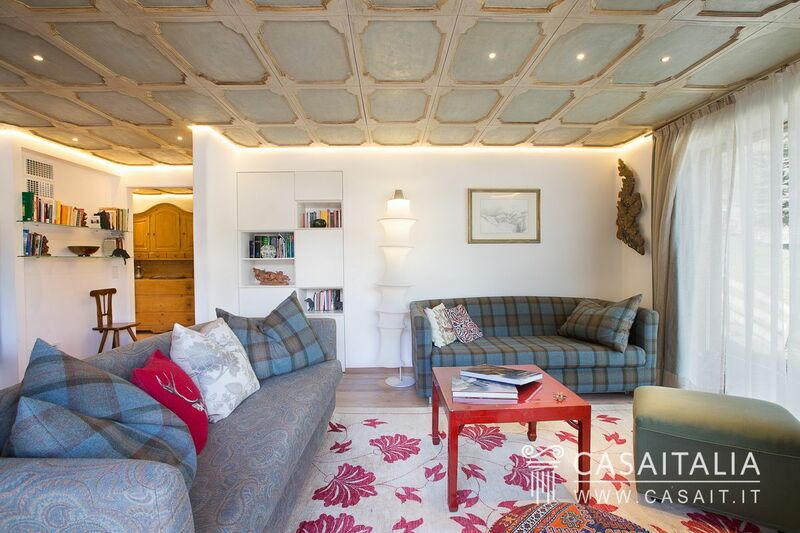 It comprises a large, bright living area with dining kitchen, three double or twin bedrooms and 3 bathrooms. 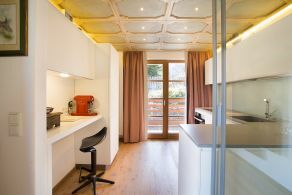 The apartment has a balcony and covered terrace, which are accessible from various areas of the apartment. 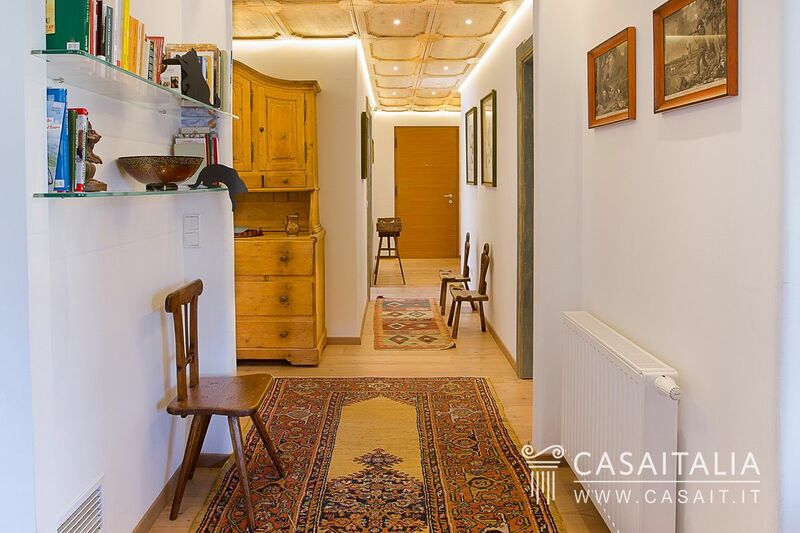 The cellar which belongs to the apartment is on the basement floor, and in the garage there are two convenient parking spaces which are included in the sale price, as is most of the furniture. 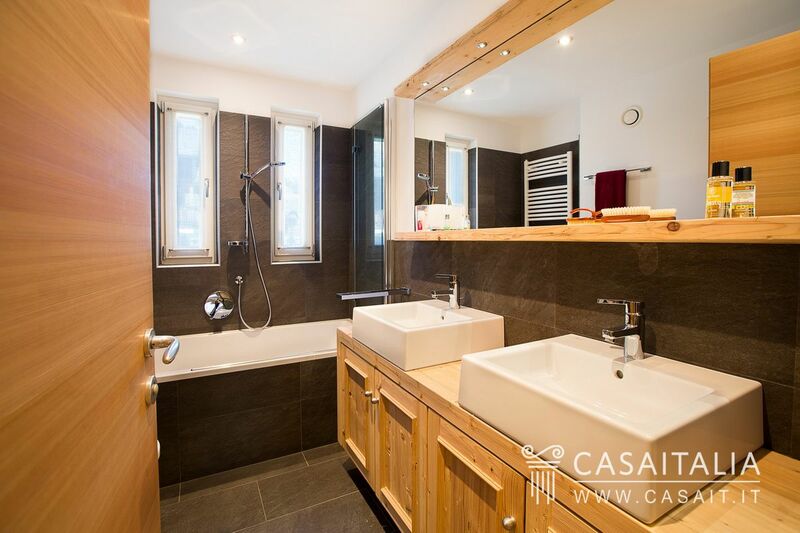 The interiors have been carefully finished with a mix of contemporary elements such as the beautiful kitchen, the different types of wood flooring, the wood panelling or the warm and modern luxury ceramics in the bathrooms. 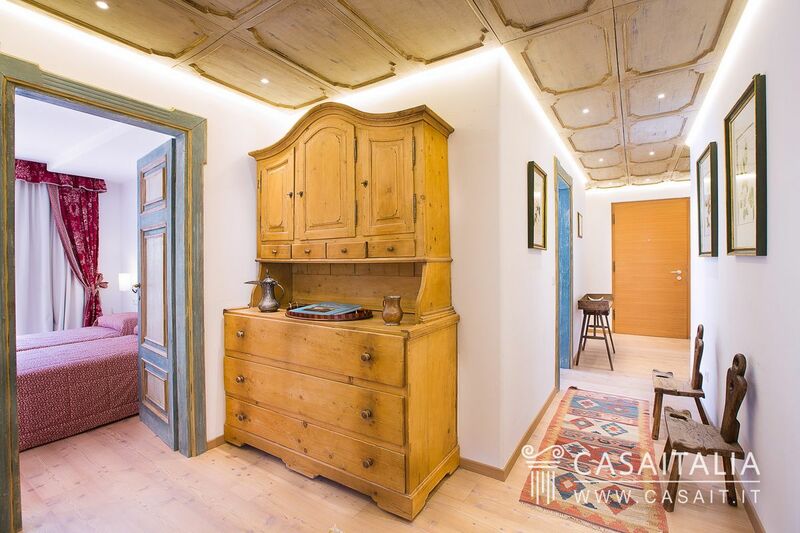 The door and window fittings, in solid wood, provide a traditional touch to this innovative building, which was built to Klimahaus “A” standards, which means it has the highest level of energy performance. The underfloor heating system, the wall and roof insulation and the use of glass with low heat loss guarantee the maintenance costs are kept low compared with older buildings. 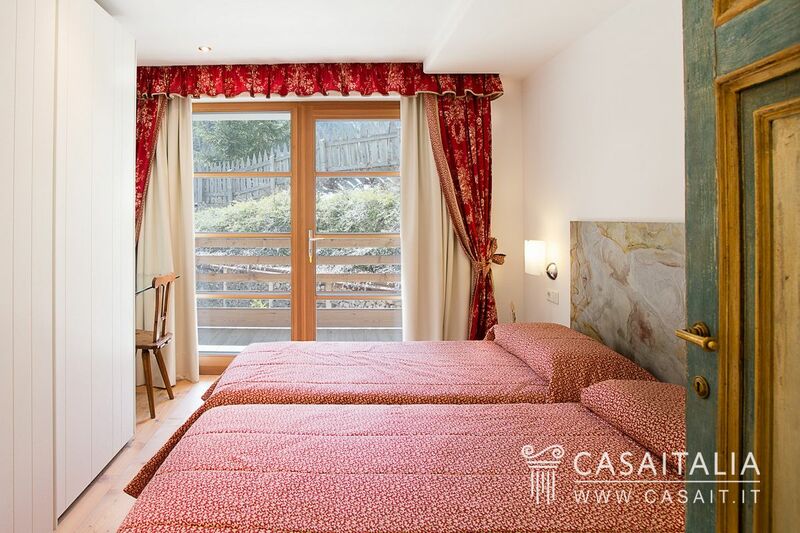 The apartment has an amazing view of the surrounding mountains, and the large balcony (14.5 sq.m) which is accessible from the living area, is the best place to enjoy it. 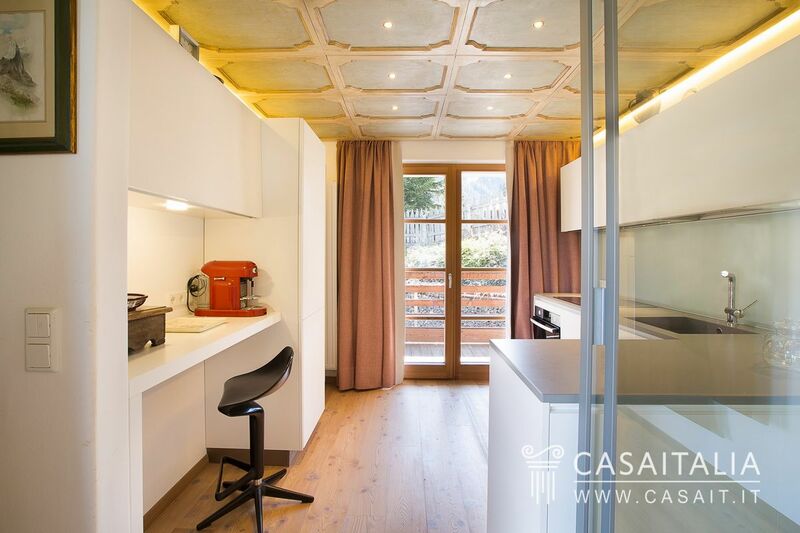 The kitchen and the bedrooms have access to another balcony (9.5 sq.m) which leads to a covered terrace (13 sq.m) ideal for outdoor dining. 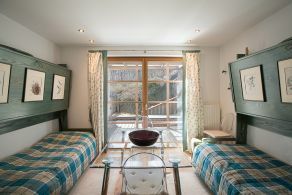 There are further parking spaces available in the shared courtyard. 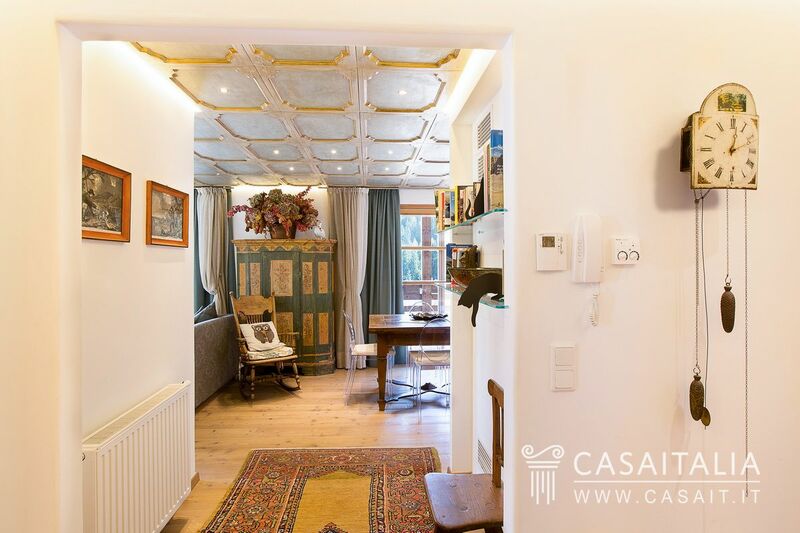 Perfect as a main residence, thanks to its convenient location and nearby amenities, this apartment would also be an ideal rental investment, which could be put on the weekly rentals market.